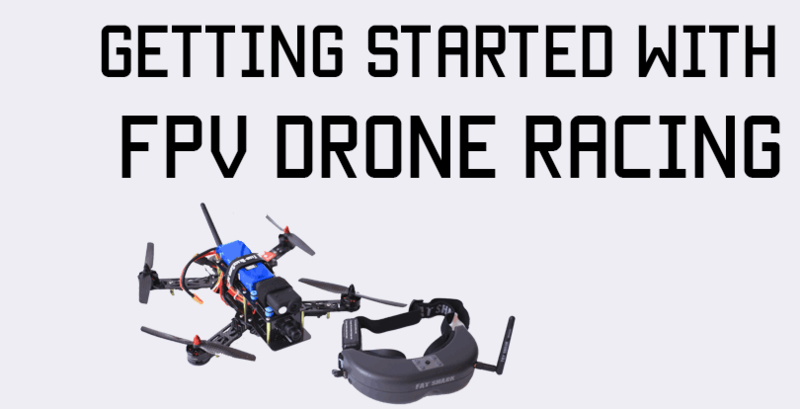 Getting into the FPV quadcopter hobby can seem quite daunting, especially since there are so many different components you need, like goggles, frames, motors, propellers, electronics, antennas, and batteries. Then there’s the matter of choosing frequencies, and finally making sure everything you’re buying is compatible! Once you’re in the hobby, you’ll always be buying new things as your old things break or you demand greater performance. And most things, like frames, motors, and especially propellers are repeated purchases. The one thing you’re going to stick with nearly forever, though, is your transmitter. If you are serious about the hobby, then invest up front in a proper transmitter. Think of it this way – if you cheap out on your transmitter, then you’ve got a $500 model flying in the air whose fate is completely tied to a cheapo transmitter! If you have a hobby-grade radio(more on those shortly), you can use one radio to fly multiple models. If you’ve played around with toy quadcopters, you would have gotten a transmitter along with the quadcopter. Those toy quadcopters only work with their transmitters, and their transmitters only work with those quadcopters. Even the heavy duty gps quadcopters such as the DJI phantom that come with their own transmitters work this way. 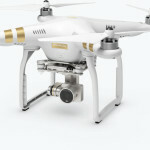 The DJI transmitter will only work with the Phantom, and no other model. Hobby-grade radios actually come in two parts – the transmitter and receiver. The receiver is a small plastic coated piece of equipment that you can put on any model, plug your controls in, and you’ll be able to operate that model with any compatible transmitter. So you can have one transmitter, multiple compatible receivers across multiple models, and use the one transmitter for flying them all. Right now you may be thinking – well if someone else has a receiver compatible with my transmitter on their model, won’t there be interference? The answer is no – because every receiver has to be bound to the transmitter when you set it up. So a receiver will only respond to a transmitter that it is bound to. 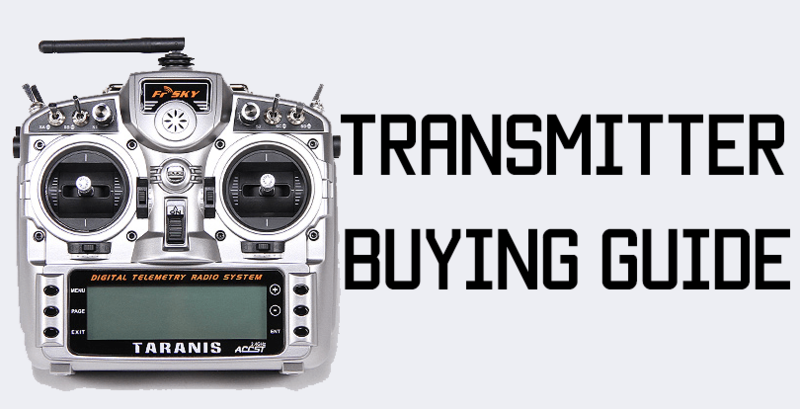 When you buy a transmitter, make sure to check what mode it is! Mode 2 transmitters have throttle on the left stick, and are more popular in the USA. Mode 1 transmitters have throttle on the right stick, and are popular in Australia. 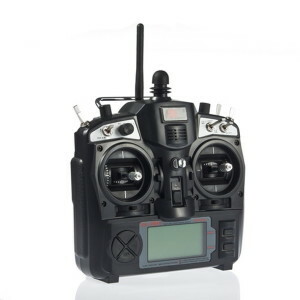 Most of the toy quadcopters like the Hubsan X4 have mode 2 transmitters. There’s no right or wrong here – only what you are more comfortable with. You also want to consider the number of channels a transmitter has before you buy it. A channel is one particular control. So a 4-channel radio, for example, will be able to control 4 different things, not more. A 6-channel radio will be able to control 6 things, and so on. These four channels are assigned to the four axes on your transmitter – each of the two sticks has two axis – up/down and left/right. The remaining channels would be assigned to the dials and switches on your transmitter. Additionally, you may want to have an extra channel assigned to a switch on your transmitter that will change the flight mode from say GPS mode to manual mode, and you may even want another switch for a failsafe or return-to-home. So I’d recommend a minimum 6 channel radio, and preferably 8 or 9, because that’ll keep the doors open for the future, too, and you’ll never feel limited. Receiver technology also greatly varies, and can make a big difference depending on the type of flying you want to do. PWM are the old fashioned receivers – they use one servo wire for each channel. So if you had 6 channels, you’d need 6 separate servo wires going into each channel’s port on the receiver. Since you have to plug in so many wires, PWM receivers are comparatively large, and you’ll have trouble fitting it on a miniquad. The smallest you could go would be a 250 size. 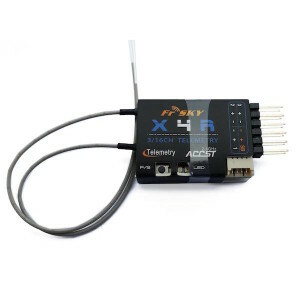 The Turnigy 9x receiver is a PWM receiver. PPM or CPPM receivers are newer, sending multiple PWM signals down a single wire in succession. PPM is advantageous because you just need one wire – the single wire can carry all the channels you need(8 max), and is very useful in small, clean builds that don’t have too many wires. 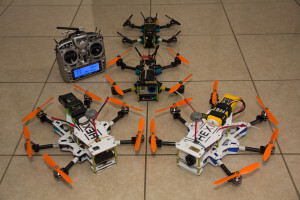 Up until now, PPM was the preferred receiver for multirotor racers. 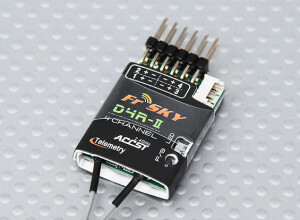 The FrSky D4R-II is a PPM receiver. SBUS is a serial connection that also uses just one wire, but is much faster. It is now becoming the preference of choice for hobbyists. The FrSky X8R is an SBUS receiver. DSM2 and DSMx(upgraded DSM2) is an interference-resistant transmitting protocol. It always “hops” between frequencies to maintain the best connection to your radio. Spektrum and OrangeRX receivers are DSM receivers. RC transmitters are available in different frequencies, too. 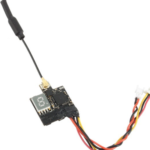 The most common frequency, and the one you’ll need for miniquad flying is 2.4 gHz. Most transmitters have this frequency out of the box. With a decent radio/receiver, you can get up to 1.5 km of range with 2.4 gHz. If you need more range, then you’ll need lower frequencies, such as 433 mHz or 72 mHz. 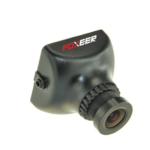 However, the new TBS Crossfire Micro has made long range FPV very accessible and easy to set up. So of all the transmitters available, anything running OpenTX will very easily support telemetry. I believe Spektrum supports telemetry too, but those radios are much more expensive. Telemetry is when your receiver takes data from the flight controller and sends it back to the radio. This is a very useful way of monitoring your model’s battery, GPS location(if applicable), current draw, and so on. Of the list below, the Taranis X9D Plus and Taranis Q X7 will be the easiest to get telemetry up and running for. You’ll just need a telemetry enabled receiver. 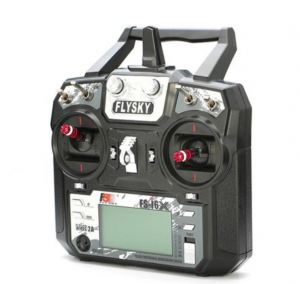 The FrSky Taranis X9D is an awesome radio. This is the radio I use, and I wouldn’t use any other radio. For $200, this radio packs features that you’d have to pay a lot more for. 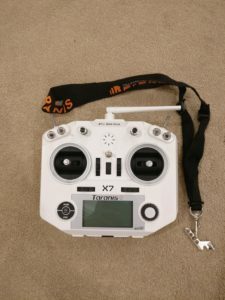 The Taranis has Open9x firmware, which is very powerful and completely programmable, which means you have control over every little function – it may seem overwhelming at first, but a couple of months into the hobby and you’ll really get comfortable with all the bells and whistles. Every aspect of the radio can be customized – you don’t have to customize it to get it to work, but you can if you want to. It supports up to 64 models, and can also be used seamless with a computer on a simulator. The sticks(gimbals) are like butter in smoothness. They’re never resistant, and you can easily move them around without any issue. Where the radio really shines is the switches can be assigned to any channel you wish. With other radios, the channels are fixed – channel one is always stick X up, channel two is always stick X down, and so on. In the Taranis, you can program each channel to be whatever switch you need. So if you are more comfortable flicking the switch on the left hand side to activate your failsafe, set your channel to that switch. If you prefer another one, set it to that. The range is also awesome – the radio system FrSky uses gives you 1.5 km of range, which is more than enough for both racing and aerial photography. Check out our guide to Taranis mods. The Taranis is also available in a Special Edition which has a carbon fiber pattern shell, updated M9 gimbals, and the antenna mod done in-factory. You also get telemetry right out of the box. Telemetry is when the receiver also sends data to the transmitter. Using telemetry, you can get valuable data from your model as it’s flying. 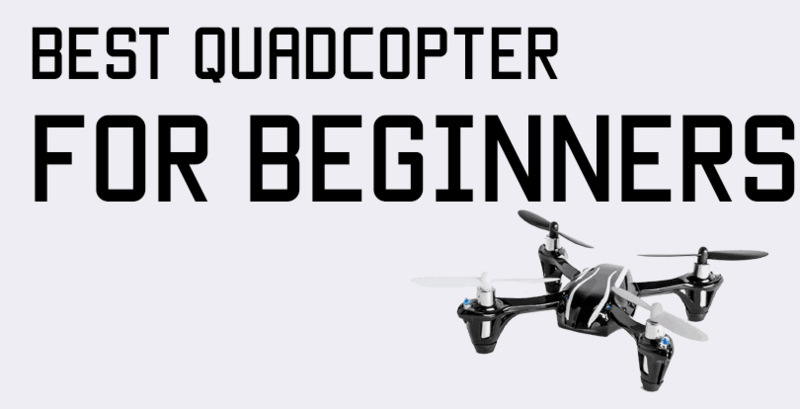 Since I fly miniquads, I’ve only set it up to receive two data points – radio signal strength and battery voltage. There are many other data points you could get, such as heading(NSWE), or GPS coordinates if you have a GPS sensor. The Taranis will also speak out the data – and you can create custom voice recordings for your Taranis to play. You could have the radio talking to you in your wife/girlfriend/anyone you wish voice! There’s also a module port in the back where you can attach a module to make the Taranis compatible with other radio systems, like long range systems or DSM receivers. For $200, you can’t find a better deal. If you are going to be spending a significant amount of money on this hobby over time, make the investment in an awesome radio – the Taranis. This is also the radio used by famous FPV pilots like Charpu, Skitzo, and Mr. Steele. 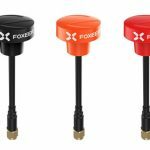 The next two transmitters are excellent choices for beginners because of their price point(all at or under $100) and that they have all the features a beginner needs, with room to grow further in the hobby, too. The Taranis X-Lite packs most of the killer features of the X9D+(such as great gimbals and OpenTX), but is far more compact and less expensive. It’s really tiny, about the size of a Playstation or Xbox controller, which makes it super easy to toss into a backpack and go pretty much anywhere. It’s marketed ideally towards miniquad pilots, but there’s no reason you can’t fly a fixed wing with this either. The Taranis QX 7 does pretty much whatever Taranis X9D can, except it’s cheaper – nearly half the price. Ok, that’s an oversimplification, but it’s essentially a budget Taranis X9D that you won’t outgrow as easily as other radios. The Turnigy Evolution is an excellent, cheap miniquad radio at an incredibly budget price(you won’t even believe how cheap it is for a decent, portable transmitter on a budget). It’s plug and play if you are using a simulator, and supports PPM and SBUS receivers for tight builds. 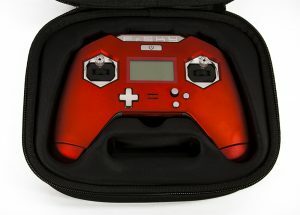 It’s lightweight, has all the features you would want in a transmitter for a quadcopter(specifically miniquads), and is comfortable to hold – if you use only your thumbs on the sticks. If you pinch, then I’m sorry, but you probably won’t find this radio comfortable. 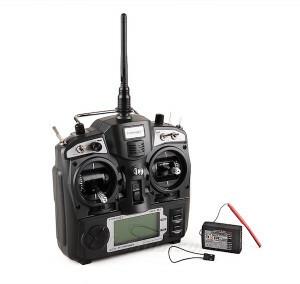 Otherwise, it’s a great radio, extremely portable, and just the right amount of customization for miniquad flying(mapping switches – 2 3 position and 1 2 position), adjust subtrims, and adjusting endpoints. This is a very cheap transmitter which is good for an entry level foray into the hobby. Like the Evolution, the FS-i6X also supports iBUS(a form of SBUS) – which means you can use a single wire to transmit all data to the flight controller. This makes wiring much easier. Because this is a cheaper transmitter, though, you won’t have the ability to configure custom switches and modes – it’s a very basic transmitter that will get you in the air. If you’d like to save the extra $50 and use that for batteries or other things, the FlySky will get you in the air. The Turnigy 9x(also known as the FlySky 9x) is an 8 channel radio. It’s a misnomer! The Turnigy 9X was my first radio, and while it served me well to start, I quickly outgrew it and upgraded to a Taranis. The biggest advantage of the 9X is that it’s a solid radio and costs just $60(plus shipping, since it’s coming from China). So for half the investment of a Taranis, you could get started in the hobby. Sticks on the Turnigy 9X are good, but you are stuck with whatever channels each switch is assigned to. There are also only 2 three-position switches, so some people may find that limiting. To use the Turnigy 9X with a simulator, you’ll need a special USB dongle that plugs into the audio out port in the back of the transmitter, since there’s no USB plug. What I really like about this radio is that there is a lot of scope to upgrade it and add more features as you need them and grow into them. For example, even though the receivers that are available for this radio are PWM-only and with a max range of around 500 meters, the module in the back of the 9x is swappable, so if you removed the stock Turnigy module and added a FrSky DJT module, you could use PPM receivers with it now. If you find the firmware rather limiting(and it is – aside from selecting/creating models and adjusting inputs, there isn’t much else you can do), you can flash a more advanced firmware and add more functionality. If you have both the firmware and the DJT module, and you are up for some delicate soldering, you can even enable telemetry(which is not natively supported). So while the Turnigy 9x is a little limited to start, it most definitely does the job for new entrants into the hobby who are unsure how serious they are. With the potential to upgrade, you can gradually unlock more potential. However, considering that the radio will cost you around $70 including shipping, the DJT module is around $40 including shipping, you’ve already spent $110 and gotten half the functionality of the Taranis. At the end of the day, it’s your choice whether you’ll be happy with the cheaper, more limited radio(your flying itself won’t be affected – you could just as skillfully fly with a Turnigy 9X or a FrSky Taranis) because of budget constraints when starting out, or shelling out the extra cash now and using the Taranis for a long time. Size and weight of the Cicada are definitely an advantage. The ZTW Flash 30A as well as the Maytech 30A are a bit bigger. The manufacturing quality is very good. Everything looks clean and all components are on place. The PCB is 1.2mm thick. On the bottom side you can see the SiS476DN FETs from Vishay. These are rated for up to 30V and maximum current of 80A, which are using for some 6S ESC. Cicada ESC had no stability issues and ran solid, this is the perfect and best BLHeli_S ESC till now. I strongly suggest you to buy! I’m not sure how long ago you wrote this. Is the Taranis still your favorite radio? Are there any others available that you would say compare to it? I still prefer the Taranis and would get it again if my current one broke! The new TBS Tango is interesting, but it’s shape is too much like a video game controller for my liking. I’ve used the Taranis before and loved it. I barely started using quadcopters and i think it’s an excellent transmitter that helps beginners. My setup is like 52USD + 38USD SO for 90USD you get a TX that does about 14protocols including Frsky, Spektrum and Futaba-FHSS. The gimbals are quad ball bearing and the processor is essentially the same STM32 (with less memory) that you would find in an Taranis X9D or QX7. The link you posted is not available now. Could you please provide the new one. I really want to check your setup. 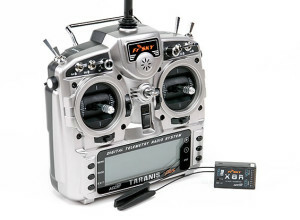 I’m using Taranis Qx7 and its the most affordable and feature rich transmitter for beginner drone flyers. 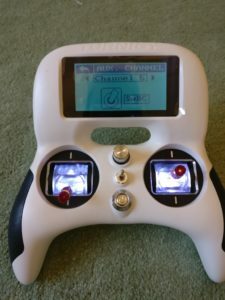 Your article states flysky i6s does not support multiple modes via switches, but this is not true as the switches can be configured to AUX channels and control modes in drones etc.